Acai has been around for a long time now. I first was introduced to Acai when I was working at Boost Juice circa 2005/2006. It’s been growing in popularity ever since and you can now get an acai bowl from your local cafe or pick up frozen acai sachets from your local supermarket. Acai berries are very high in antioxidants, which means they are great for fighting free radicals and slowing down inflammation and signs of aging. Other than those fantastic health benefits, acai may also boost skin health, improve memory and focus, support weight loss, protect against heart disease and diabetes, and stimulate healthy digestion (source). 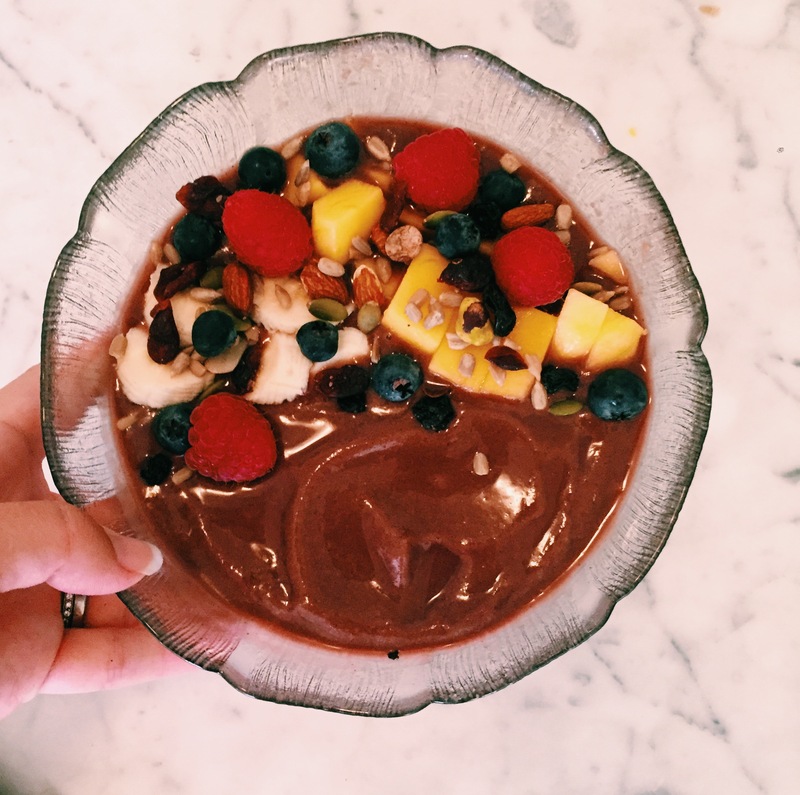 I think the smoothie bowl is a great way to kick off your morning in the summer time and I sure have been smashing a smoothie bowl during the heat waves that we have been going through in Sydney. I’ve also been popping an ice-pack into my pregnancy pillow and sleeping on that to keep me cool. There is nothing worse then being pregnant during a heat wave and trying to keep cool. Place the contents of the acai sachet, pineapple, mango, banana, coconut water and ice cubes into a high powered blender. Blitz until smooth. Pour your smoothie – it should be quiet thick – into a bowl and top with your fruit/seeds/nuts of choice.